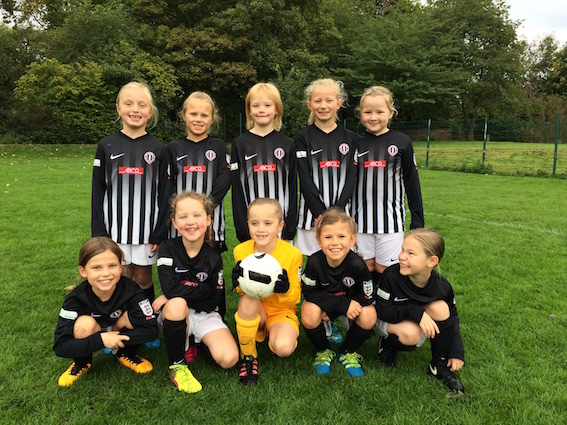 Southwell City FC Under 9 Girls have had a great start to their season, winning five and drawing two of their games so far. Most recently they earned a fantastic draw with Mansfield Town, playing in some challenging wintry conditions! They have received support from two local businesses, ABCO Engineering Hydraulics Ltd who have sponsored their kit and Staythorpe Power Station (RWE) who kindly purchased goals and additional equipment to help with training. The team train on a Monday evening at Southwell Leisure Centre and play matches on a Sunday morning. If your daughter is interested in joining the team then please contact Richard Kelly on 01636 919008 for further details.